Musicians come together to pledge support to the NHS via Twitter account. A Twitter account has been set up by Lois Wilson to complement and support People Powered #OurNHS, a gig at Liverpool’s O2 Academy, 10/06/17. Local legend Michael Head will headline alongside fellow Merseys mates James Skelly, Hooton Tennis Club, Edgar Jones, Kathryn Williams and Steve Pilgrim. 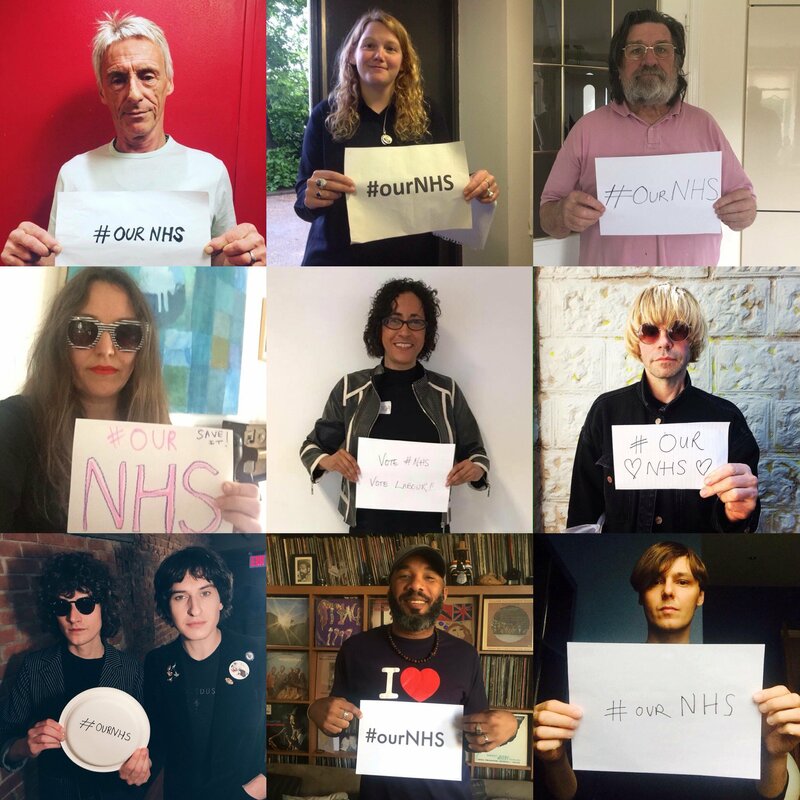 Paul Weller, Kate Tempest, Ricky Tomlinson, Matt Johnson, Kevin Rowland, Adam Buxton, Tim Burgess, The Horrors, Temples, Kathryn Williams, Sally Lindsay, James Skelly, Mick Talbot and Cast are amongst an ever-growing list of musicians, artists and actors showing their support for the NHS via the Twitter account @NHS1000Maesteros. New names are showing their support daily by sending in pictures and messages. Wilson's aim is to reach 1000 contributors before the Academy show. The show, and twitter account, are both aimed at raising awareness of the current plight of the NHS. All proceeds from the event will be donated to the Health Campaigns Together group for their continuing campaign promoting issues with regards to the NHS. Tickets for the event are £20 + booking fee. A fair price to feel safe in the knowledge that you've done your bit to make sure we don't all die in pools of our own medical bills as our bodies are swept to the gutters to be fed to It.